Sculpt Garage has only been in business for four years, but is already making a name for itself as one of America’s hottest custom hot rod interior shops. Its success, however, wasn’t achieved overnight. 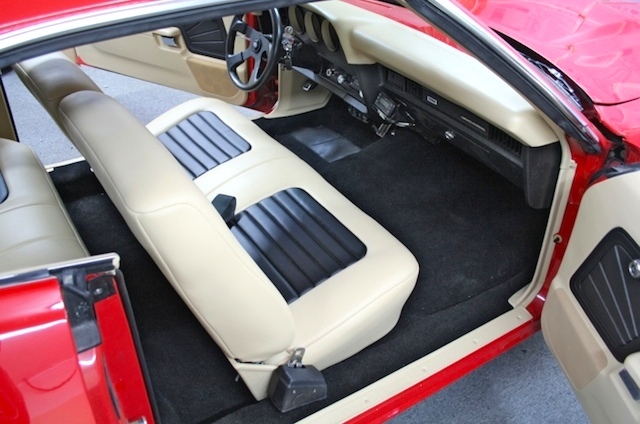 Owner Brent Davison has been toiling with car interiors for decades. As a teen in Texas, Brent had a passion for all things car-related, but it was the cabin that captivated him most. He especially enjoyed fabricating eye-grabbing panels for audio systems and other electronics. 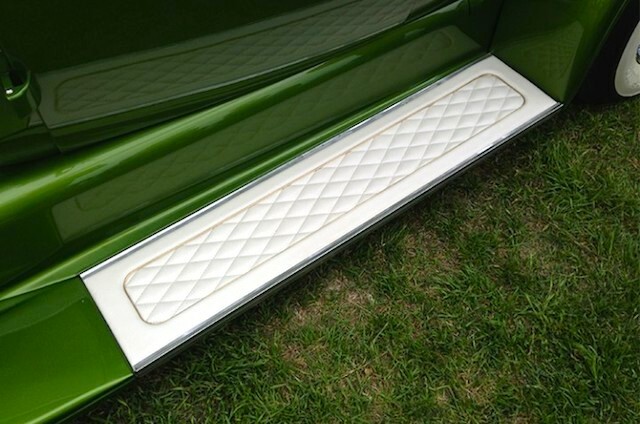 “I started out in the 12-volt electronics industry when I was still in high school, building custom sub enclosures, kick panels and rear decks,” Brent told The Hog Ring. After graduation, Brent set out to turn his hobby into a career. He enrolled at RITOP School for Mobile Electronics in Boston, Massachusetts, where he received an in-depth education and more hands-on experience in 12-volt electronics and interior panel fabrication. “Then I worked my way up through the mobile electronics industry for the next seven years, including having my own car audio shop for four of those years,” Brent explained. Eventually, though, Brent was presented with the opportunity of a lifetime: a job with Alpine Electronics in Torrance, California. 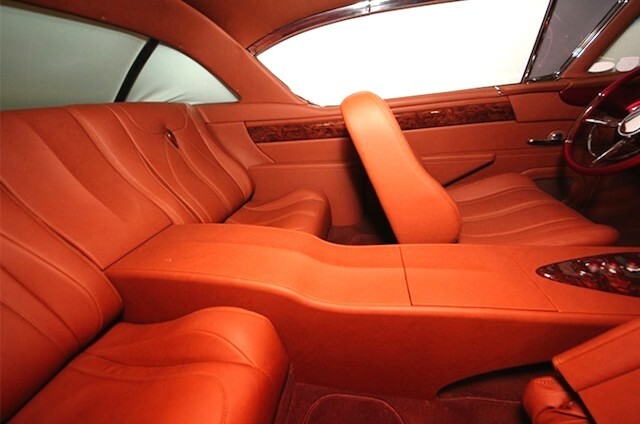 There, he collaborated with some of the best interior fabricators in the industry to design and construct Alpine’s world-renowned concept vehicles. At Alpine, Brent honed his skills and flourished in his career. However, homesickness eventually drew him back to Texas, where he temporarily changed gears and got into the mechanical side of the industry. To satisfy that desire, Brent set out to open an automotive shop that specializes in both interior fabrication and upholstery. 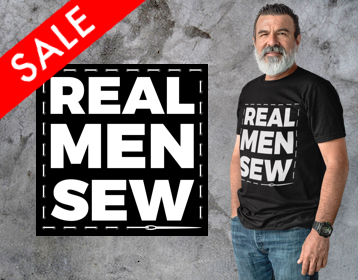 Of course, he’d need a master trimmer to help realize his vision. 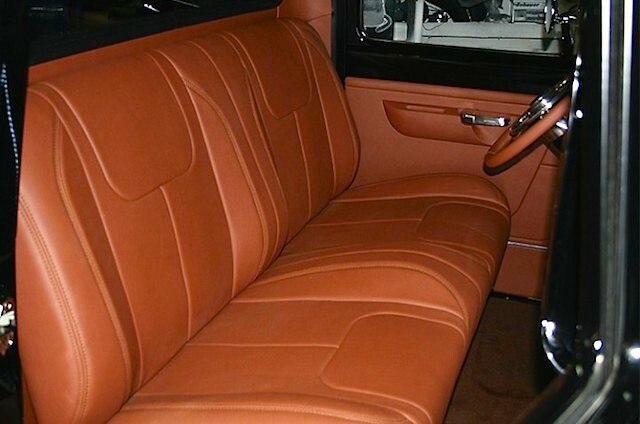 “My new goal was to do full street rod interiors. 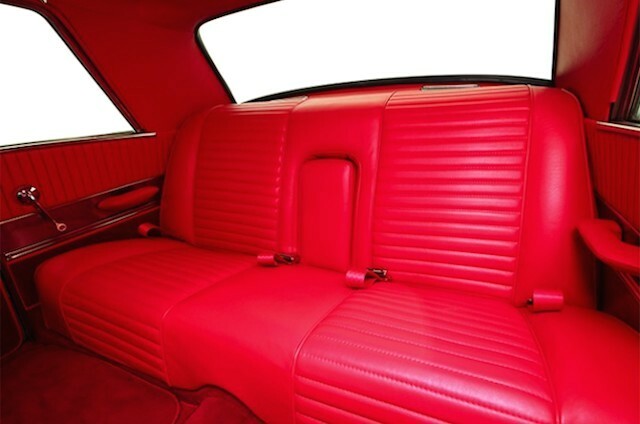 I just needed to team up with a stitcher to create a fully finished custom street rod interior,” said Brent. 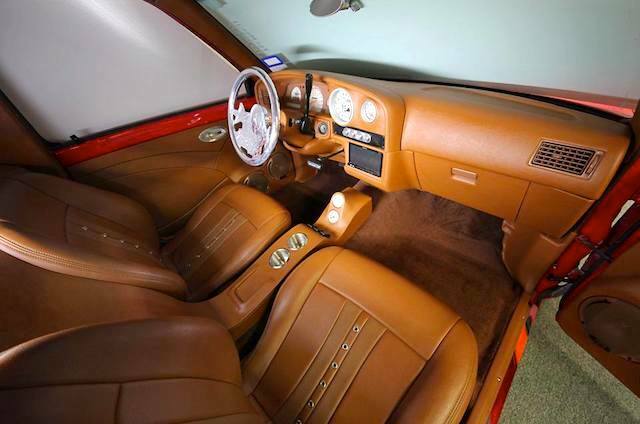 Eventually, after connecting with the talented Phil Cato of Cato Custom Upholstery, Brent founded Sculpt Garage in San Marcos, Texas. 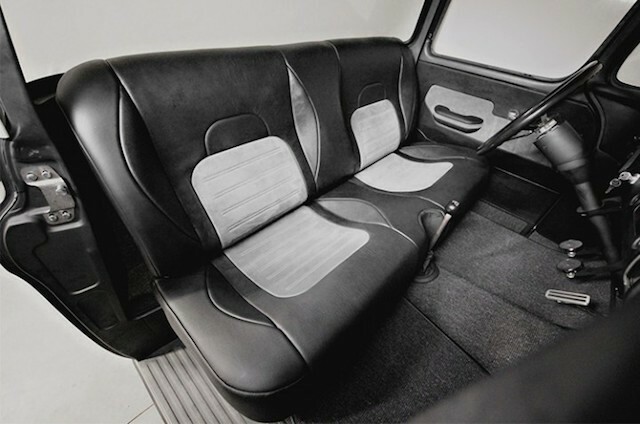 The way Sculpt Garage operates is simple: Brent handles all the necessary design and fabrication, and contracts the stitch work to Phil, whose handcrafted upholstery never ceases to amaze. The shop focuses solely on custom hot rod interiors, forgoing all general repair and restoration work. 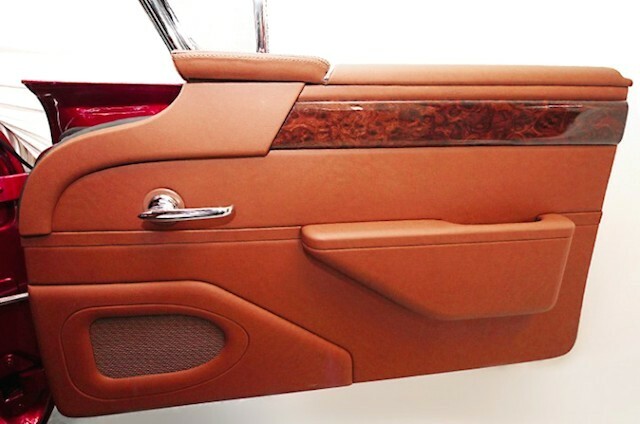 With a master fabricator and master upholsterer teaming up to produce one-off car interiors, its not surprising to learn that Sculpt Garage has been collecting awards and garnering praise all across the United States. 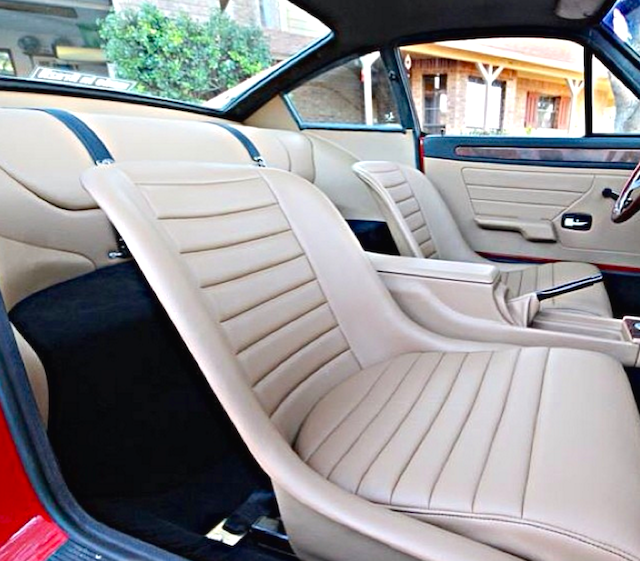 Some of their interiors have even been featured in the hottest car magazines and TV shows. Best of all, the future looks bright for Sculpt Garage — which is preparing to move into a much larger facility. Brent attributes Sculpt Garage’s success to his strong work ethic and the support he receives from friends and family, especially his wife. To learn more about Sculpt Garage visit SculptGarage.com, and follow them on Facebook and Instagram. 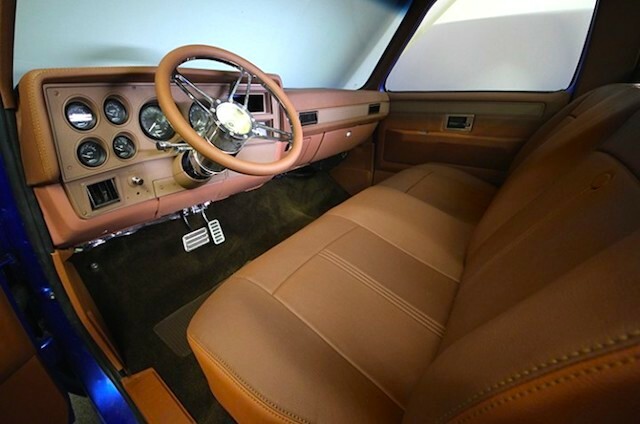 Sweet interior on that Gas Monkey 49 chevy. I’ve got a 55 chevy that needs interior work and I think you might can pull it off. Love to hear from y’all.